In multi-board system design, cross-domain communication is no longer optional. Designing electronic systems has become measurably more complex during the past decade. Many of the products that are developed today are in-fact complex interconnected systems. Using the automotive market as an example, the first level of a system is an element; an individual component or sub-assembly that is designed to be part of a larger collaborating function. At the next level is the sub-system which could be a single board that, when connected with other boards, delivers a higher level of value. The systems level is then an electronic-centric assembly packaged as multiple boards interconnected with cables and/or connectors that can operate as a standalone unit. Finally, the system of systems level is an integration of independent systems that create a new, more complex system (Figure 1). Designing electronic systems that comprise multiple interacting boards, connectors, and cables requires multi-discipline team collaboration to effectively manage design complexity for optimum product performance and reliability. When hardware functionality is distributed across a multi-board system, the system integrator must determine the connections that need to be made between each board and to external interfaces. As design complexity rises, there could be hundreds or thousands of connections and interfaces that need to be properly managed and communicated across all product development disciplines. Unfortunately, many of the current methods for managing information have reached limitations in terms of both capacity and process. Existing system design methods take too long, introduce too many errors from manual data entry, and require re-entering the same data at multiple points in the design process. When designing a system, failure to maintain the integrity of even a single interconnection could result in project delays, involve significant cost to resolve, and perhaps even require a product recall. Today’s product development teams need to utilize an optimized multi-board systems design process that facilitates cross-discipline collaboration in order to be successful. Complexity management – the scale of systems is outpacing current design methodologies that often leverage homegrown processes to glue multiple disciplines together. These non-optimal processes restrict trade-offs and what-if analyses that are required across multiple domains. Interconnect management – A product/system architect must determine the connections that need to be made between each board and/or to external interfaces. Of course as design complexity increases, and as products move from multi-board PCB to multi-board systems, the number of connections between boards can quickly go from the tens to the hundreds to the thousands. Data management – Multi-board PCB or system design is a business process that engages numerous disciplines. A robust data management solution is required in order to understand how elements in one discipline are dependent on elements in another discipline, and provide notifications when any dependent element changes. Simulation and analysis – Both signal and power integrity should be modeled across the multiple boards to ensure PCB or system performance goals are met. All levels of simulation and analysis are required, from the highest (behavioral) level of abstraction to the lowest (SPICE) level of circuit implementation. ECAD/MCAD co-design – Many multi-board PCBs or systems must optimize electronics within tight form-factor constraints while still meeting quality, reliability, and performance requirements. By working in the context of the product, design teams can ensure that ECAD and MCAD engineers consider the complete set of design requirements. Seamless cross-domain collaboration – In order to properly optimize the system, collaboration between the different disciplines is no longer optional, it is a requirement. Today, teams tend to work within a silo black box methodology that restricts optimization across the various components of the system. This reduced collaboration results in redundant efforts between disciplines. The tools and processes used to define the logical, physical, and mechanical aspects of the PCB or system must be part of an automated, fully integrated, collaborative workflow. Teams need to avoid disconnected desktop office tools such as text files, spreadsheets, and drawing applications because they will result in costly intra-system connectivity errors, extensive time-consuming manual validation steps, and restrictive change rules that prohibit PCB or system design optimization (Figure 2). During system logic definition, partitioned sets of blocks representing boards need to be easily defined with drag and drop simplicity. The blocks need to also be easily re-partitioned, with intelligence to automatically insert connectors between boards and transform intra-board nets into inter-board wires. The solution must allow unlimited freedom to optimize the system across multiple boards during the definition stage. The process should be controlled in the same manner as conventional forward and back-annotation between a single PCB schematic and a layout. A synchronization utility can pre-validate any pending changes and highlight them to the design team. Changes should be clearly enumerated and even color-coded to indicate status. Automatic changes like reference designator name or pin number modifications should also be clearly noted. Automation during synchronization will eliminate significant and time-consuming manual updates… potentially on the order of weeks per iteration. As many of the inaccuracies in multi-board system design occur in the connectors, it’s important to have correct-by-design connector management that maintains the connectors and their pin mappings through any edits. Assuming a high level of automation in the tools, connector modifications would require minimal effort. The automation would allow users to create and modify connectivity at will using generic connectors without concerning themselves with the actual physical details of the parts. Connections within and between boards can be grouped to accelerate definition. And finally, to help validate connectivity across the system, signal tracing must be available to graphically follow the path of each interconnect. The data management infrastructure provides the foundation for this multi-discipline collaboration. Data management enables a consistent flow-wide synchronization process, and is at the heart of cross-discipline concurrent design. Access to design data and statistics without having to open authoring tools facilitates design reviews and decision support. Library and design data can be securely accessed and managed across large multi-user, multi-site enterprises. This process also enables reuse of boards, connectors and cables. 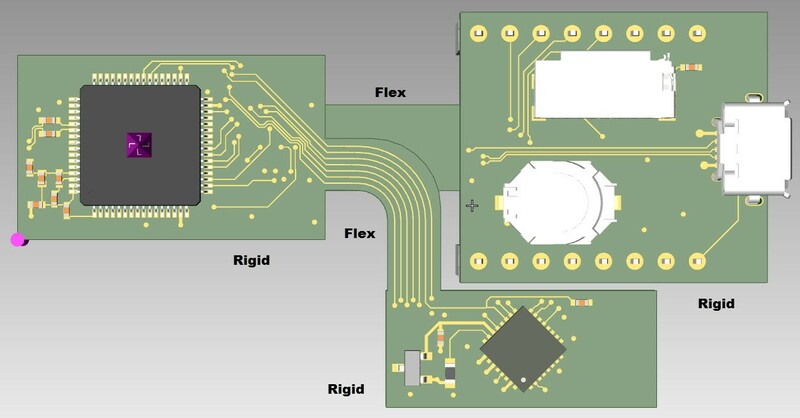 The PCB design realm has seen huge advances in the last decade. What is needed at the multi-board system level is a solution that automates the enormous connection management problem, facilitates system and logical design, and integrates seamlessly with the PCB design flow while managing team, design and library data at each level of the design hierarchy. 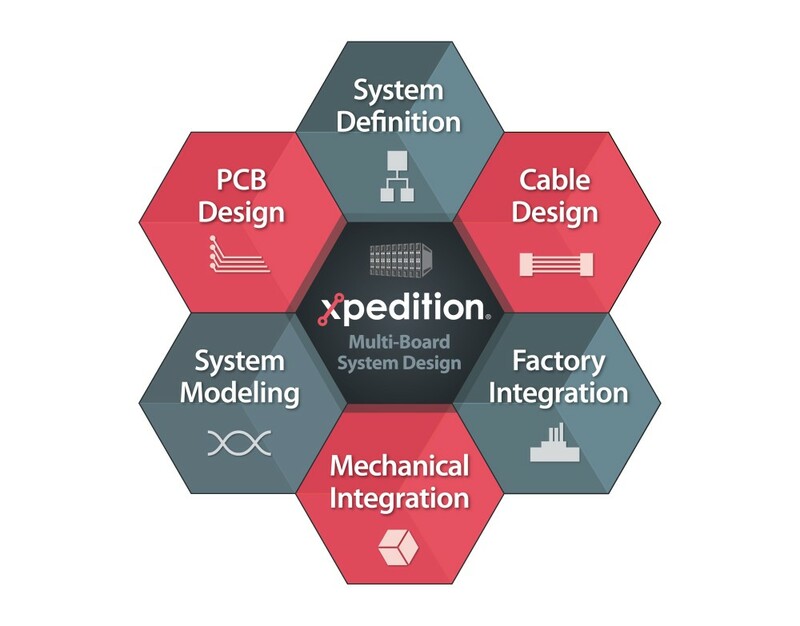 The Xpedition multi-board systems design flow (Figure 3) improves design team productivity and reduces development cost by replacing inefficient manual disconnected processes with an automated, fully integrated, collaborative workflow. It enables automated synchronization between all levels of abstraction and automated connector management, helping design teams achieve time-to-market targets. Now, hardware design, from multi-board system specification to completed PCBs and cables, can be handled with one integrated collaborative flow. Craig Armenti is a PCB marketing engineer for the Board Systems Division of Mentor, a Siemens Business. Armenti has more than 25 years of experience in the EDA industry. He has held marketing and application engineering positions with several major telecommunication companies. He holds Bachelor of Science in Electrical Engineering Technology and Master of Business Administration degrees.